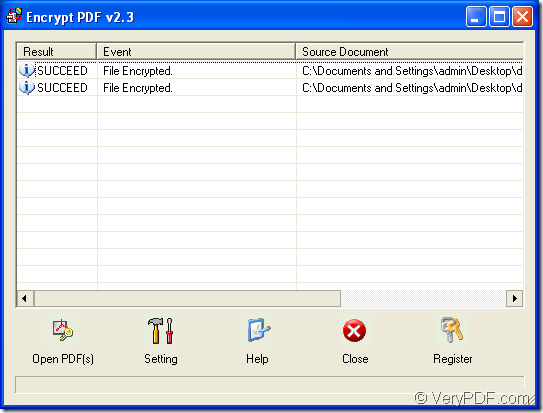 ← Encrypt PDF document to protect it! Most of people like to save their contents in PDF document because PDF is much safer than other kinds of file formats for PDF document can be protected by pdf password. 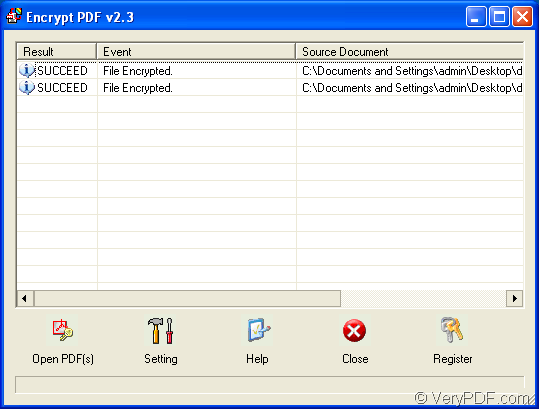 The application VeryPDF Encrypt PDF is able to protect PDF document by several mouse clicks. 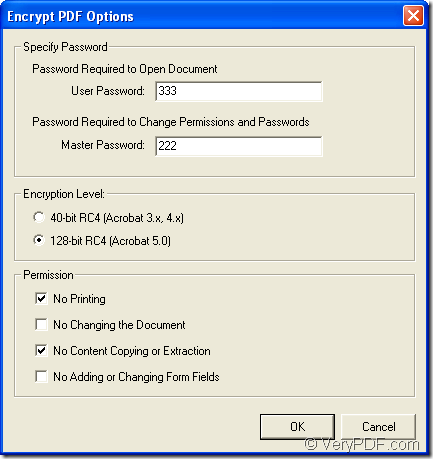 This application is to show you the way to set password for pdf document with Encrypt PDF. 1. Please download the application Encrypt PDF via clicking here. 2. Install the application on your computer by double clicking the application installer and then follow the setup wizard to fulfill the installation. 3. Open the program through Start menu to choose from all programs. 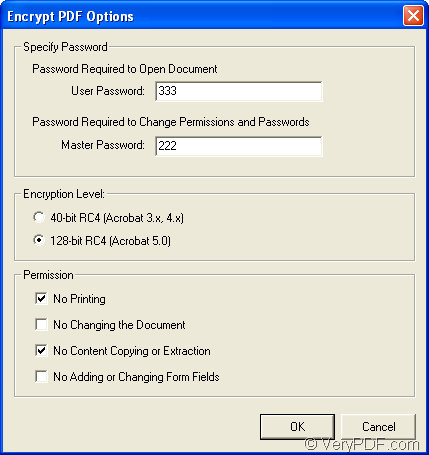 Set user or master password for PDF document in User Password or Master Password edit box. Set encryption level as 40 or 128-bit in Encryption Level group box. Set permissions such as no printing, no copying, etc. in Permissions group box. Click OK button to close the window and save settings. Please see Encrypt PDF Options in Figure 2. 5. Add PDF document (s) into Encrypt PDF by clicking Open PDF (s) button or use drag and drop operations. 6. Save the protected PDF in popup window. 7. Click one button to start to protect PDF document. The PDF document protected successfully will be shown in the file list of Encrypt PDF with Succeed information. When you open it or edit it again, you will find that they are protected with pdf password. If you want to enter the homepage of Encrypt PDF, please click here. If you have any questions about how to protect PDF or about this application, you can contact our support team. How to protect PDFs with setting expiry date? How to protect PDF eBook from being opened without permission? How to merge PDF and protect PDF by setting password? How to protect PDF from being copied? How to encrypt a PDF file from C# or ASP.NET or VB.NET Web application? This entry was posted in PDF Security and tagged pdf password, protect PDF. Bookmark the permalink.